5 Things You Shouldn’t Miss in Amsterdam! Dream of the most exclusive European vacation? Get ready for an amazing city break in Amsterdam! Want to try something special during your vacation? No problem! Let’s visit Amsterdam! It’s not just a common European capital, but also is an insanely alluring city, where you can forget about many forbidden things and feel like in a paradise! Amsterdam has its own unique charm and charisma which attracts millions of tourists again and again. The peaceful atmosphere of the city, lovely smiles and friendly people around will leave their mark in your soul forever! Don’t miss an opportunity to explore this wonderful city at least once in your life, because it’s worth it! Just arrange some cash, get a rental car (GPS option required!) 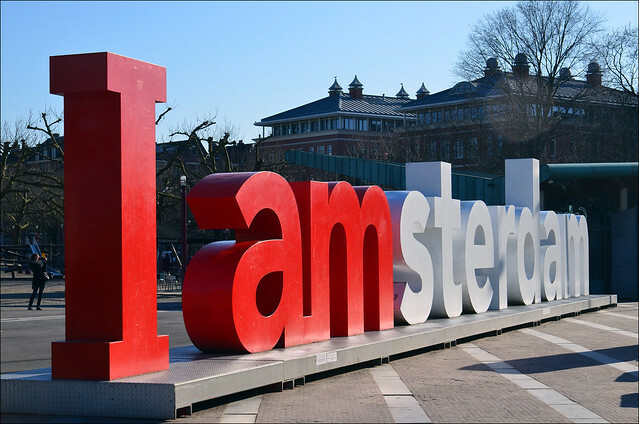 and check out TOP5 things you shouldn’t miss during your visit to Amsterdam! 1. Feel the relaxation at one of the many coffee shops! As you know, Amsterdam is well-known for its loyalty for light smoking drugs, and if you want to feel a unique atmosphere of the city, just visit one of the many coffee shops, where you can get a “magic” cake or “magic” cigarette. Greenhouse Centrum coffee shop is the best place to do it – its magical ambience will help you to get a full relaxation. But do not get carried away too much, because you’re driving! After at least one day in this city, you involuntarily begin to associate you with it. In a wonderful park which is located not far from the Stedelijk Museum you can find a gorgeous inscription “I am Amsterdam”. So, your photo on the background of this line will be a great reminder of your amazing trip! 3. Visit a famous Red Light District! 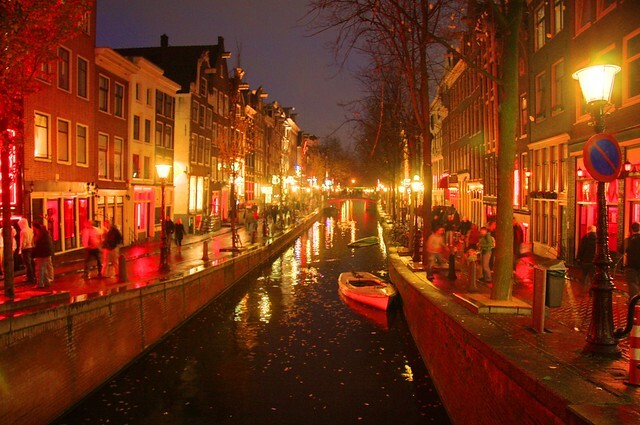 Red Light District is a real city card of Amsterdam! In the afternoon you might think that this is a common place, but after the sunset it seriously changes: crowds of people come to admire the bright red lights, fluorescent lamps and something else…Behind the illuminated transparent showcases you can see the girls of easy virtue, who offer themselves. It’s a unique show you shouldn’t miss! 4. Admire the rich heritage of Van Gogh! 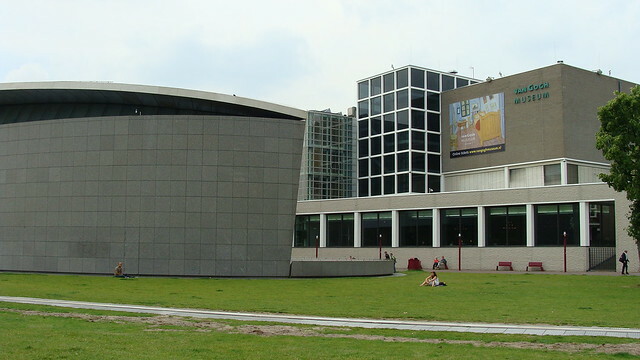 Amsterdam’s Van Gogh Museum collected the richest collection of paintings of the great artist – more than 200 works. The museum also displays the albums with thumbnails, sketches and letters. This art museum, which is devoted to the works of the famous Dutch painter, makes an impression to everyone – even to those who knows only few about Van Gogh! 5. Have a nice picnic in the Vondelpark! 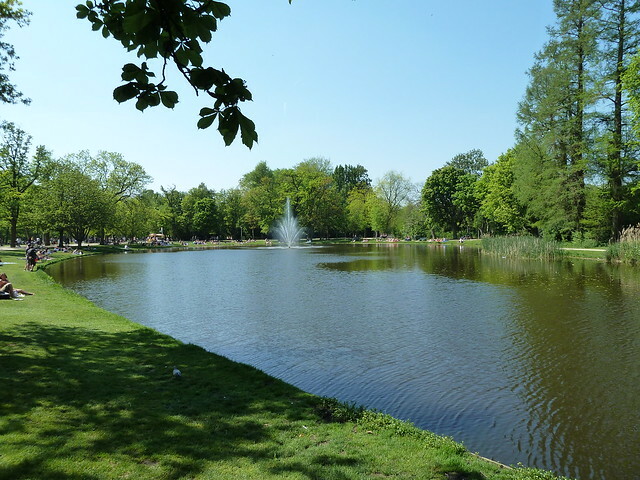 If you’re tired of the city and dream to escape from the crowded streets of Amsterdam, Vondelpark is the best place! Lush greenery, picturesque ponds and cozy walking paths will help you to relax! So, take some ingredients for your picnic in the nearest market and set off to the Vondelpark! Where to get a rental car in Amsterdam? Amsterdam provides great car rental opportunities for all visitors of the city. If you don’t know where to get a rental car, don’t worry, because you won’t find a better location than Amsterdam’s Airport! Why should you searching for taxis or waiting for public transport? 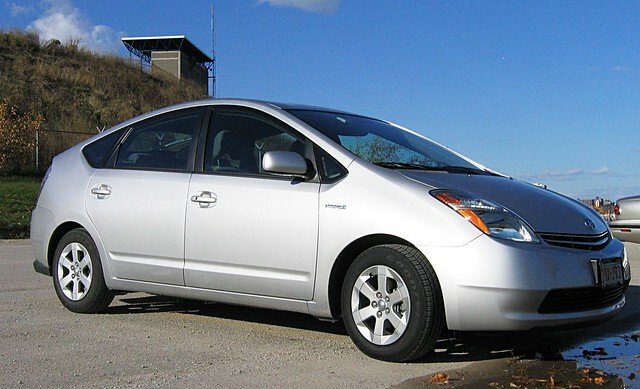 Get a rental car and drive anywhere you want at any time! Just follow http://netherlands.rentalcars24h.com/amsterdam-schiphol-airport and check out all car rental tips! Feel the freedom in Amsterdam! Author Bio: Lily Berns likes adventurous trips and keeps herself on traveling for most part of the year. She likes to share her views to get effective vacation and she suggests using RentalCars24H service for enjoying your trip. CategoriesBusiness Products & Services, Travel Tags5 Things You Shouldn’t Miss, Miss in Amsterdam!